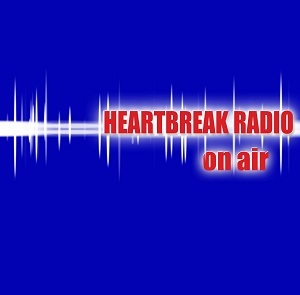 A spin-off from Last Autumns Dream, Heartbreak radio released their self titled debut album in 2005. For this new album, the line-up includes a number of singers and musicians - Mats Johanson (a guest soloist on Asia’s “Aqua” album), Berra Holmgren (Ace Of Base), the afore-mentioned Strandberg (Jeff Scott Soto), Johan Axelsson and the rousing sax of Wojtek Goral (Stevie Wonder’s band.) Vocalists invited to attend the recording sessions included Jim Jidhed (Alien), Henrik Baath (Dark Water) and solo artist Martin Gabriel. With six out of ten of the songs including the word "Love" in the title they must be trying for some sort of record. Either way you can tell straight away that deep meaningful subjects aren't going to be in the lyrics - instead we basically have an album of AOR ballads. The music is classic AOR in the same vein as Kenny Loggins, Christopher Cross and Toto. As such you know that you can expect smooth vocals, and music polished to remove any rough edges. The only problem with this is that most of the time, the music while sounding lovely does tend to fail to stick in the memory sufficiently to make the step from good to great. For me "My heart's just missing you" is the best track as it's the only one that seems to remember the R in AOR stands for Rock, so the drumming is harder and the guitars aren't as far down in the mix, so there's a bit more of an edge to the song. As a result it's the only song that really stuck in my mind. It's a good AOR album and a lot of AOR fans will love it, but people who prefer a bit more rock in their music are likely to find most of the album fairly bland I'm afraid.